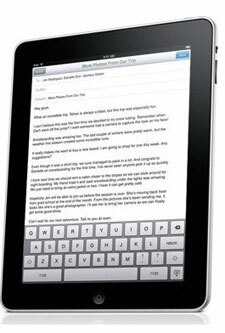 Apple beats Kindle for ebooks in the UK - iPhone.MY - Daily News On Mac, iPhone, iPads, iPods and more! An interesting post over at GigaOM is shedding light on the unanswered question: is the iPad or the Kindle pulling ahead in the race to provide ebooks to customers? Citing Jo Henry, the managing director of Book Marketing Ltd, the answer seems to clearly be Apple, at least in the United Kingdoms. The data collected by Book Marketing and its parent companies indicates that there are more ebooks read in the UK on the iPad and the iPhone each than read on the Kindle. The same is not true in the US, where Kindle is solidly beating out the iPad and iPhone, even combined. Don’t worry though; the same study shows that the iOS devices are gaining ground. It could be a much different story in a year. No Hardware Announcements at WWDC 2011?